Kingdom of Magic Paperback Edition - To order click on the image. 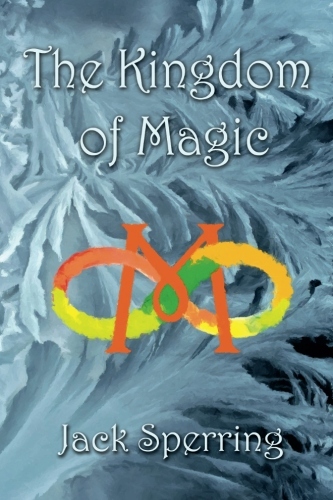 The Kingdom of Magic is a modern fantasy satire, aimed at opening the eyes of the young reader. Harriet, Marcus and Jason are just three normal teenagers trying to survive 21st century life. When the school disco is cancelled, they take it upon themselves to host the party… A mistake it seemed, as they had some unwelcome visitors. In a desperate fight to escape, they explore an area of their home that they should have left well alone, and are transported back in time to the dark ages where ice and snow are common place. In this strange new world where magic is the prevalent force, they struggle against a king who sees his people as nothing more than subjects of experimentation, a dark wizard who pursues them for law breaking, a greedy money grabbing mage, and go on a voyage of discovery which sets them on a path to meet God. Has life prepared them for the trials and tribulations that they are about to face? What about their mysterious grandfather who appears to know much more than he tells? Do they have the skills they need to survive the Kingdom of Magic?